Brick Town Talk: Oh, Canada! - LEGO Town, Architecture, Building Tips, Inspiration Ideas, and more! 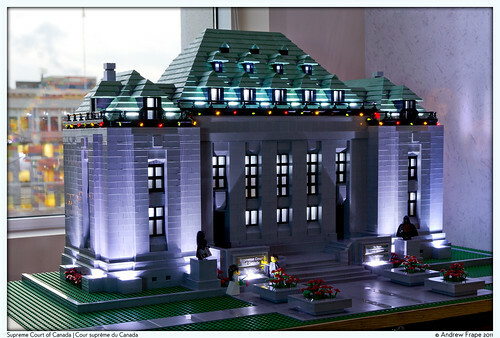 Supreme Court Building, Canada - (BTT) Looks like LEGO is finding its way into the most unusual of places. It's an imposing structure. Built to uphold the law of the land. Where even the most mundane of disputes are settled and laws are reviewed with the utmost prudence. Maybe someday you'll be involved in some case and may find this LEGO model standing in the Canadian Department of Justice.